Since we opened our office in Brazil’s Belo Horizonte about four years ago, I go there every seven or eight months. We started our foray into Brazil from this city, which is the capital of the south-eastern state of Minas Gerais. Belo Horizonte means ‘beautiful horizon’ in Portuguese, and it indeed is a beautiful city, surrounded by hills, unlike its more famous cousin Rio de Janeiro, which is known for its beaches. Belo Horizonte was founded in the 18th century and has, ever since, been a commercial hub. With a Portuguese heritage, it is culturally rich with beautiful, old churches, especially in the downtown areas of the city. I’m not aware if there are large hotel chains in the city, but you can easily find good local hotels that are also affordable. In the downtown area, there are many fine dining restaurants and bars, which are also good places to have work-related meetings. In fact, I decided on a local partner for my company in one of these restaurants. Brazilian cuisine consists largely of meat and most of the food is grilled. I enjoyed the local cuisine, although it has limited options for vegetarians. You should keep in mind that dinner is eaten early here, by 7 pm. After that, the bars take over. If you drink alcohol, you should try the local Brazilian drink called Cachaca, made from sugarcane juice and quite potent! Brazil is famous for its coffee, and there is no better place than Belo to discover it. On offer are coffee shots—60 ml or 90 ml—served just like liquor. You down it without milk and sugar. It’s quite an experience. I would also recommend Café do Museu, a century-old coffee shop in the downtown area. I always buy some coffee to bring back home. You could also pick up colourful local handicrafts as souvenirs. I was amazed to come across two Indian restaurants in Belo. What was even more amazing was the inspiration behind them: A very popular Brazilian television soap opera called Comimho da India, which tells the story of a Brazilian family that settles down in India. Indian culture, including our food, has become quite famous in Belo, thanks to this soap. Brazil is famous for its football and people are as passionate about it as we are about cricket. Belo has one of the biggest football stadiums in Brazil, and I was fortunate to attend a local match. The atmosphere was as electric as the one in our cricket stadiums. While people are friendly and helpful, do remember that very few speak any language other than Portuguese. It is easy to get a translator, but if you prefer to discover the place by yourself, carry the addresses of your destinations written in both English and Portuguese. Thanks for sharing the info. 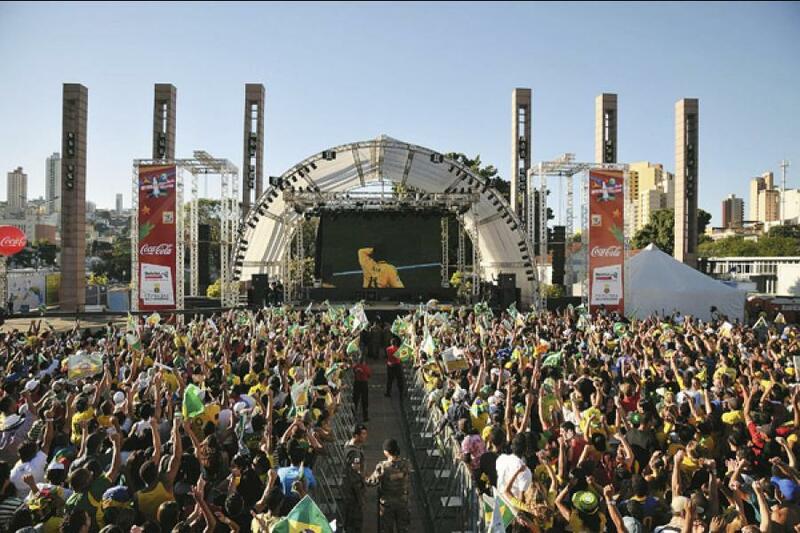 Brazil\'s economy is going to enjoy the benefits of organizing the football world cup and olympics in the years to come.